The air conditioning system in your home is responsible for keeping your home and family comfortable. 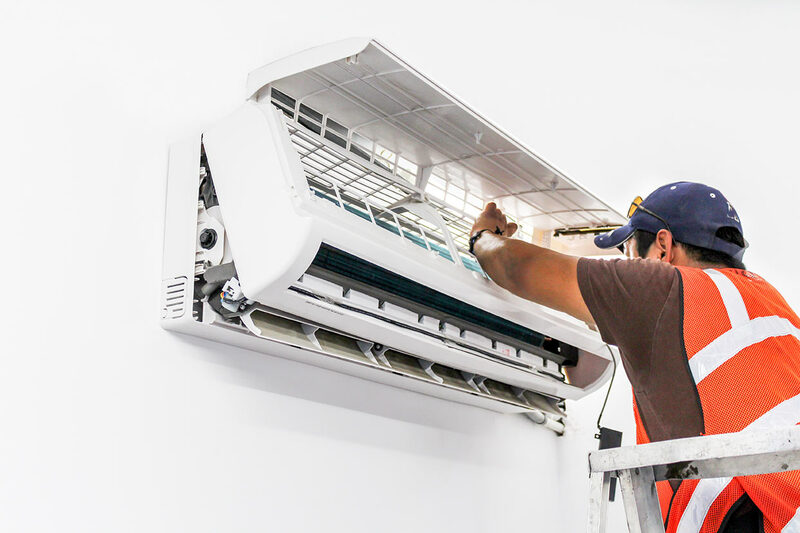 Though there are a variety of air conditioning systems to choose from, the folks here at Hometown Comfort believe that a ductless air conditioning system provides homeowners with a laundry list of benefits. To begin with a typical AC system uses ducts to transport the flow of air throughout the home. With this type of duct system, you lost anywhere from 20 to 30% of the conditioned air produced during the overall process. This simply means that your system has to work that much harder to ensure that your home reaches and maintains comfortable temperatures. With a ductless system, there are no ducts required, therefore, the loss of air flow and energy is near to nothing at all. A ductless system is the favored system of choice for those who are embarking on a going green mission. 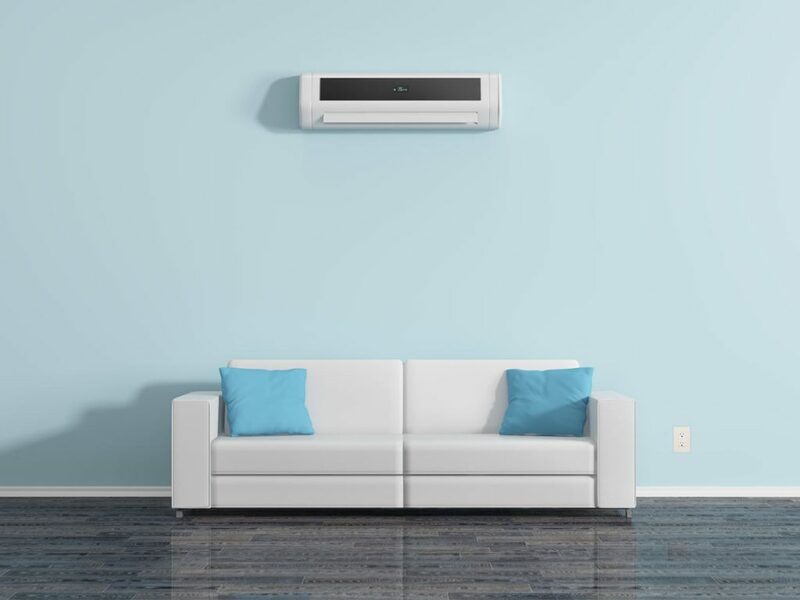 This type of AC system does, in fact, conserve a good deal of energy since your AC system does not have to work as hard or as long to keep your home temperatures cool and comfortable. Not only do you conserve a good deal of energy with a ductless air conditioning system, but you can enjoy saving money as well. For those homeowners and their family members that suffer from allergies, a distinct difference will be noticed when a ductless air conditioning system is installed. Since ducts are typically installed in obscure, hard to reach places, over time bacteria and mold can grow in the ductwork and even little pests can make their nests in the ducts as well. When the airflow passes through the dirty ductwork it picks up the bacteria and other pollutants and circulates them throughout the living space. Such is not the case with a ductless system. With a ductless air conditioning system from Hometown Comfort, individual systems are installed in separate living spaces within the home. This allows for maximum control over the comfortable temperatures maintained in the house. If you do not use one room as much as the others, you can simply turn off the AC in that room and keep the door closed. This will keep the cold air circulating in the rooms that are used the most. When you utilize this type of a targeted cooling technique you will see a noticeable difference in your utility bills. As you can see there are a variety of advantages and benefits to installing a ductless air conditioning system in your home. If you are like so many other homeowners who are turning to ductless systems and are ready to make that all-important switch, then it’s time to call on the professional HVAC contractors here at Hometown Comfort TN. There is no better time of year to make the switch to a ductless air conditioning system for your home or business. To schedule your free consultation or to learn more about our services, please give a shout out to our team at (615)-948-2667. We look forward to serving you and to contributing to the comfort, health and safety of your home and family season after season, year after year! !